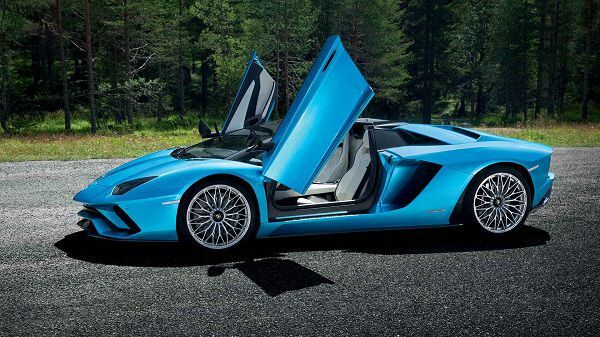 There are various sports cars that delivers an outstanding performance along with a handsome design and amazing luxuries, but none come close to Lamborghini Aventador. 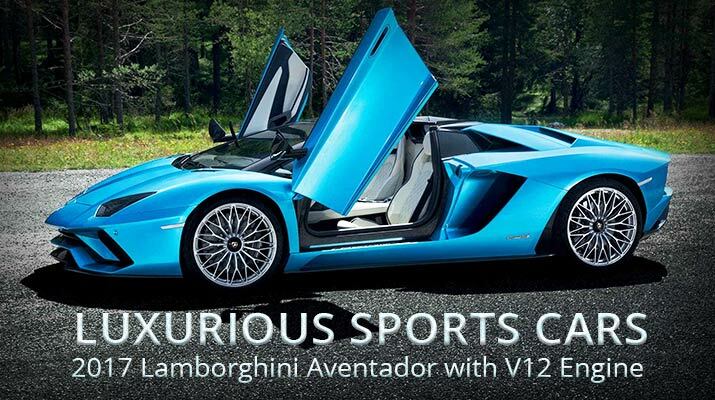 The 2017 Lamborghini Aventador creates a new benchmark in the segment of super sports cars. 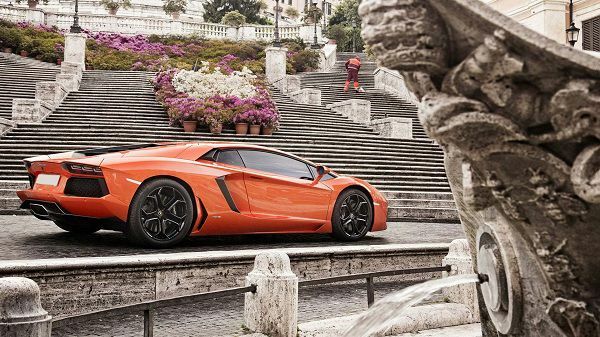 Lamborghini designed this coupe a combination of the traditional Lamborghini concept and new innovation to bring a future forward car today. This combination takes the House of the Raging Bull to a new level of Hitherto Unexplored Territory. 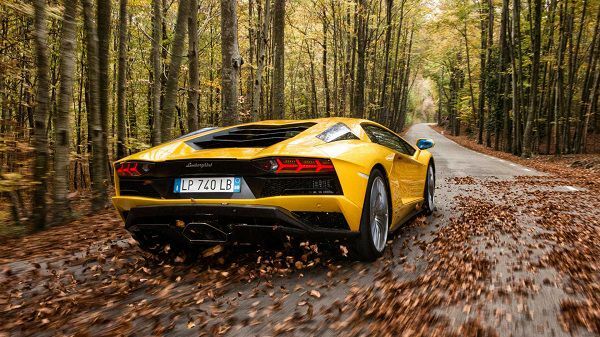 There is no doubt that the 2017 Lamborghini Aventador is among the famous sports cars that appeal to the sports car enthusiasts across the globe. The use of carbon fiber in its construction has reduced the weight of the coupe and helped in boosting its performance. Here is the review of the 2017 Lamborghini Aventador that is engineered to revolutionize the concept of coupe. 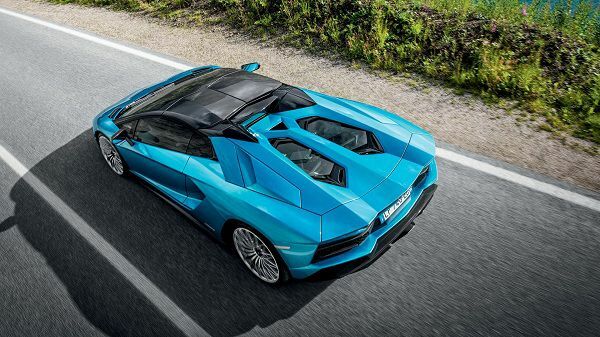 The 2017 Lamborghini Aventador is the famous Dubai sports car with an astonishing design. It has an aggressive exterior with sharp corners and curves, while its interior is luxurious and fitted with the latest luxuries to enhance the ride experience of the occupants. The 2017 Lamborghini Aventador is among the luxurious sports cars in Dubai that has a stylish and aggressive exterior. The sleek lines and sharp curves enhance the beauty of the coupe and make it mesmerizing. The carbon fiber structure makes the coupe lighter, stronger and it also enhances the performance of the coupe. It has a unicolor design with black rub strips and fascia accent that provides the coupe a catchy look. The Signature Lamborghini air intakes are nicely fitted at both front corners of the coupe for a more effective engine cooling function. The black windows trim enhances the look of the vehicle while the lightly tinted glass lessens the glare of the sunlight. The windshield is fitted with Speed Sensitive Rain Detecting Variable Intermittent Wipers that automatically detect rain and keeps the windshield clean. At the front of the coupe features the auto-leveling headlamps with fully automatic projector low and high beam functionality and Daytime Running Lights that ensure perfect visibility under all conditions and give the coupe an aggressive look. The 2017 Lamborghini Aventador is fitted with 19-inch front tyres and 20-inch rear tyres to deliver a strong grip on the road and enhance the performance of the coupe. 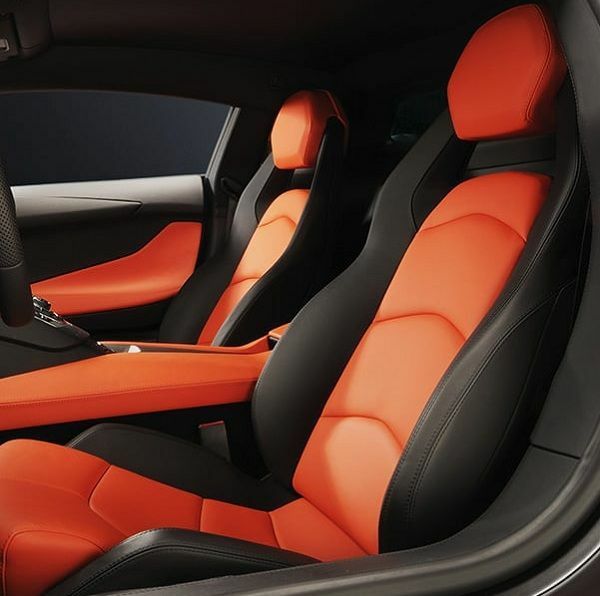 The interior of this famous Dubai sports car is simply mind-blowing, thanks to the attention to detail given by the designers at Lamborghini to make it comfortable for its occupants. The interior is a combination of high-tech luxury and exclusivity with the use hand-finished, highest quality materials. Lamborghini superbly combines the traditional techniques with luxury and this combination turns it a mesmerizing one. The steering wheel is nicely wrapped with leather that provides the driver a strong grip on it, however, Lamborghini also provides an option of an aluminum steering wheel for a true sports car feel. 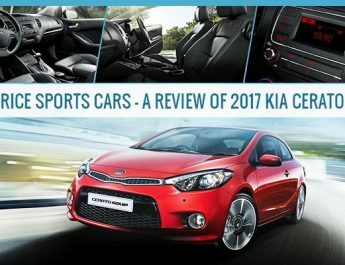 The other features of this coupe include a remote keyless entry that allows the driver to lock and unlock the coupe by just pressing a button, driver foot rest, perimeter alarm and analog display. Lamborghini smartly finished the interior with ambient lights that not only enhance the beauty of the coupe, but also help the riders see clearly in the coupe at night. The 2017 Lamborghini Aventador is among the Dubai sports car that gives an incredible driving experience, thanks to its powerful engine that gives a superior performance. 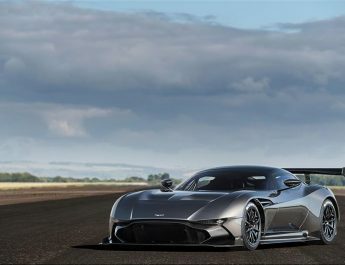 It has a 6.5-litre V12 engine that is able to produce 691 horsepower and 507 lb-ft of torque. The engine is paired with 7-speed automatic transmission that offers smooth handling and strong grip on the road. The estimated fuel efficiency of this coupe is 11mpg in the city, 18mpg on the highway and 13mpg combined. It accelerates from 0-100 Km/h in just 2.9 seconds and has a top speed of 350 Km/h. It has a fuel tank capacity of approximately 23.8 gallon. The 2017 Lamborghini Aventador is among the best sports cars that is equipped with cutting-edge technological features. A TFT LCD display is placed at the center of the dashboard that features navigation and various multimedia functions. 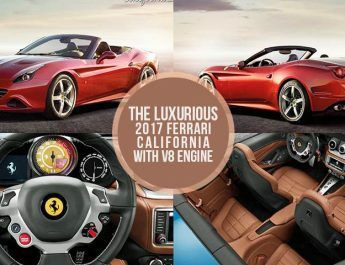 Bluetooth wireless phone connectivity, Real-Time traffic display, HD Radio and 4 speakers are also the part of this amazing coupe to give the occupants an enjoyable ride. The 2017 Lamborghini Aventador is among the most famous sports cars in Dubai that comes with advanced safety features. Since the sports car enthusiasts in Dubai are also very conscious of their safety and the safety of others of the road, they prefer to drive a vehicle that is fitted with the latest and the advanced safety features. The 2017 Lamborghini Aventador is available in the UAE at a starting price of AED 1,500,000 that can go as high as AED 1,600,000 with optional features. The 2017 Lamborghini Aventador is among the most famous sports cars and it is considered to be the jewel in the crown of Lamborghini. Thanks to its V12 engine and superior luxuries, this that delivers an exceptional driving experience to the occupants.